Top-level award recognizes Hodge for exceptional performance. 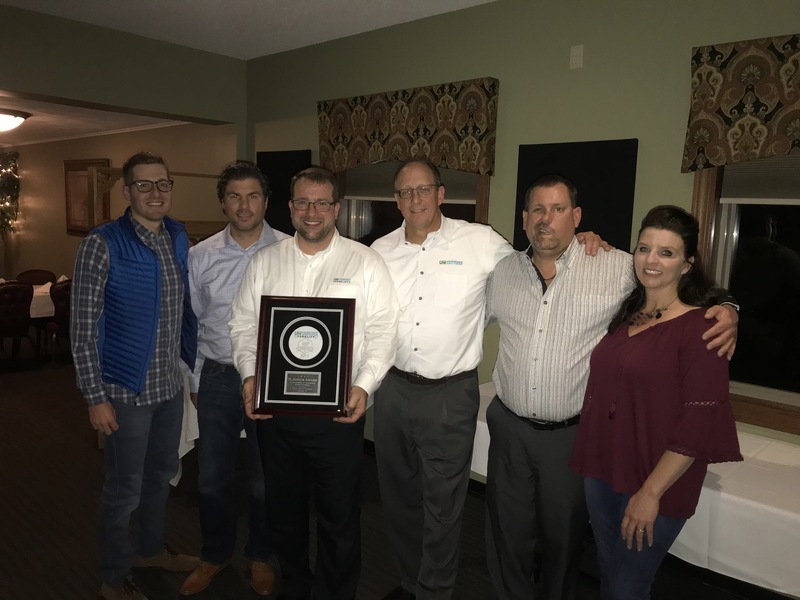 DUBUQUE, IOWA – Hodge is honored to be a first-time platinum level winner of the UniCarriers Aftermarket Excellence Program (AEP). Each fiscal year, UniCarriers recognizes dealers who have achieved excellent performance in aftermarket parts and service. The AEP challenges UCA dealers to excel in performance standards across eight categories, including business planning, employee training, factory support and customer satisfaction. Each category has a maximum point value that dealers can earn to reach four possible award levels: Bronze, Silver, Gold or Platinum. The end-result provides dealers with higher service margins, improved parts sales, more efficient work order processing, stronger customer retention, and in-turn, greater and sustained profitability. As part of a global organization that is the third largest forklift company, UniCarriers is an American manufacturer redefining reliability in the material handling industry. Learn more at unicarriersamericas.com.